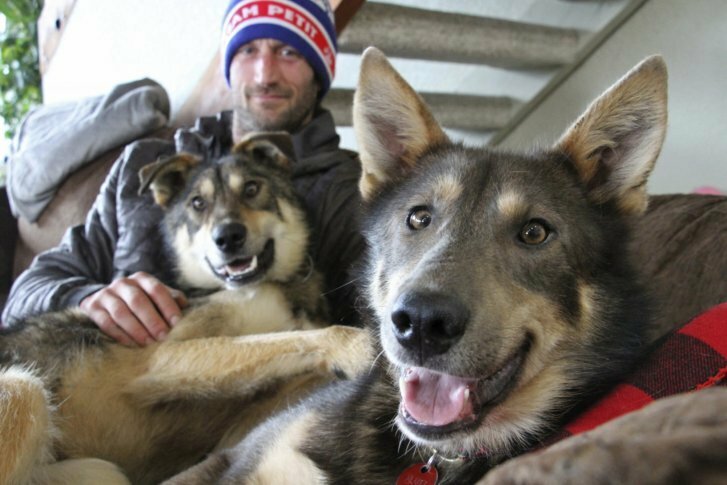 ANCHORAGE, Alaska (AP) — The Iditarod musher who was hours ahead in the Alaska wilderness race when his dogs refused to keep running dismissed critics who say he ran them too hard and chalked it up to a bad memory that spooked them. The team stopped last week after Frenchman Nicolas Petit yelled at a dog that was bullying another, but they “did not slow down like a tired team would,” he said. It came a year after they got lost in a blizzard near the same spot along the Bering Sea coast — close to the finish line of the 1,000-mile (1,600-kilometer) Iditarod Trail Sled Dog Race that takes global competitors across mountain ranges and wind-swept ice. “I wouldn’t say it’s a curse for me, I just had a bad time last year and lingering effects of the bad time this year,” Petit said. It was pure coincidence that it happened at the same point in the race, he said. “They remember that we didn’t have a fun run,” going through the snow the wrong way, Petit said Wednesday, sprawling out on a friend’s sofa in Anchorage. Dogs from his team piled on top of him and licked his face. Also nosing their way in for attention were Joey, who was the bully on the trail, and Danny, the younger male dog who was bullied. When Petit withdrew from the race this year, he said it was a “head thing” for the dogs. Others speculated that Petit overexerted the dogs, they were mistreated or were mentally unfit to run. Petit denies it all. He also said he’s “stopping plenty” along the grueling route, preferring to rest outside checkpoints and along the trail when possible, where he says it’s quieter and the dogs get more sleep. Libby Riddles, the first woman to win the Iditarod in 1985, said the sport requires a fine balance between being competitive and keeping the dogs happy — something she said Petit excels at. In 2018, Petit rested his dogs at a cabin between checkpoints before the disastrous run in the blizzard. He planned to stay at the cabin again this year but leave it with a well-rested team. Video shows an energetic and eager dog team entering and leaving the first checkpoint. Within a mile of the cabin, the dog dustup happened. Joey, a 2-year-old and the only non-neutered male on the team, was behind Danny, a 16-month-old pup. Every time Danny slowed down, Joey would pick on him. The team refused to keep going. He tried walking ahead of them to see if they would follow and putting different dogs in the lead. Other mushers came by, but even that didn’t rouse the dogs. They finally got the mile to the cabin. Fourteen hours after the dogs stopped, they took off but didn’t make it far. Petit took them back and pushed the panic button on his GPS unit, effectively withdrawing from the race. A snowmobile brought food and then carted the dogs off the trail. Petit still expects to compete in next year’s Iditarod. He’s said he’s planning to take his dogs next week to the problem area — the Bering Sea coast — to show them the fun they can have on that stretch of the trail. “And that it’s not always blowing, and we don’t always get lost, and it can be a very positive experience as opposed to the last two years,” he said.